The Toys! The Toys are alive! San Diego Comic Con 2018 is here. Last year I was fortunate and was able to do a figure for DKE Toys. 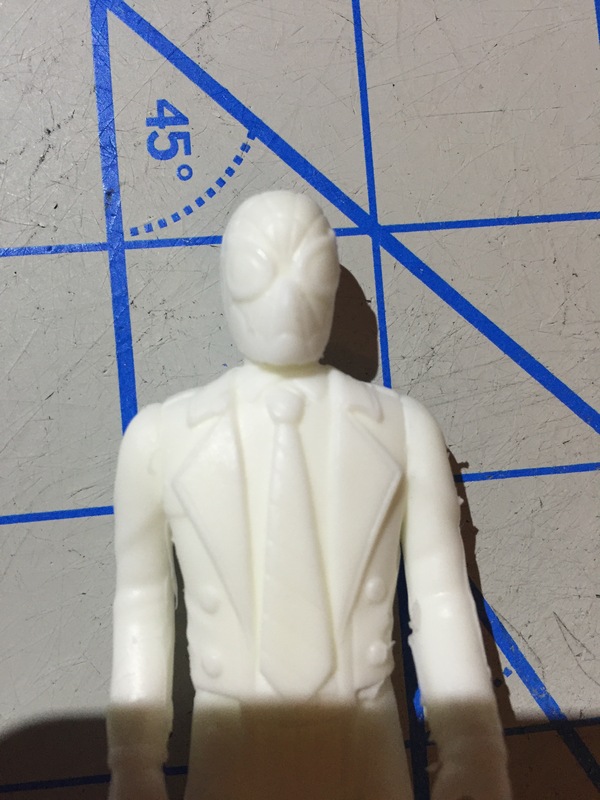 The “Unemployed Trooper” sold out by Friday morning. For 2018 I was able to participate again with DKE Toys for San Diego Comic Con. 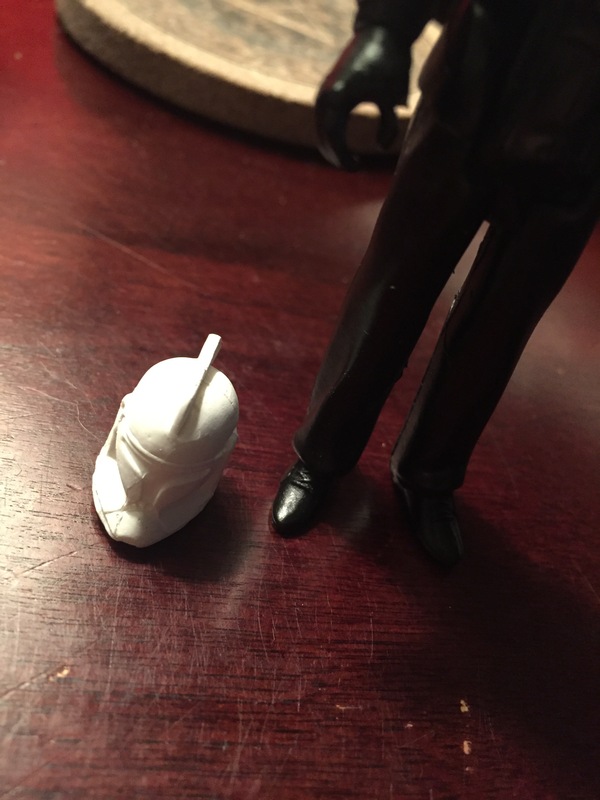 We went with the Weekend Dad Trooper. 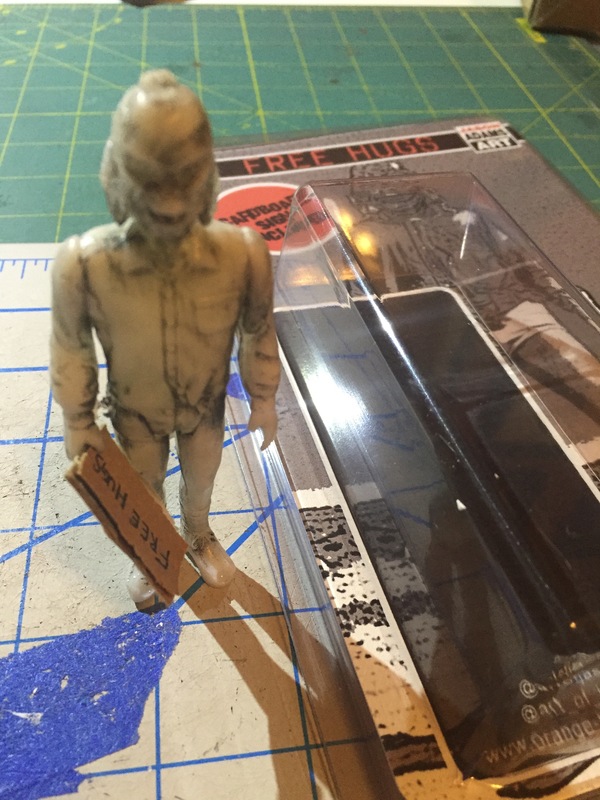 Hand cast and painted, this figure is limited to 25 pieces total and will have a spray painted “slap” sticker that will be on the back of the card. Only available at the DKE booth. So head over and get one. Also, DKE Toys can be found at all these cool places. And while your at it, check out the Toy Geeks latest offering, specifically around the 24 minute mark. This is a dude who, 700 years ago, totally ravaged China, and who, we were told, 2 hours ago, totally ravaged Oshman’s Sporting Goods. San Diego Comic Con is right around the corner. I won’t be attending this year, but I will have a piece of art at the DKE booth #5045. Limited to 25 hand cast and painted pieces. Last year the piece I did sold out by Friday, so go grab one. Well, what if there is no tomorrow? There wasn’t one today. 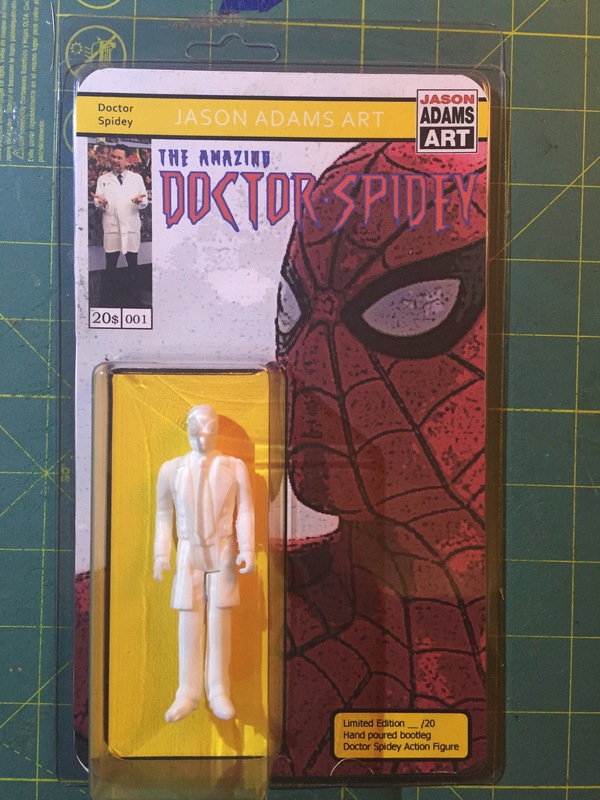 The preorder for the Doctor Spidey piece is now live. 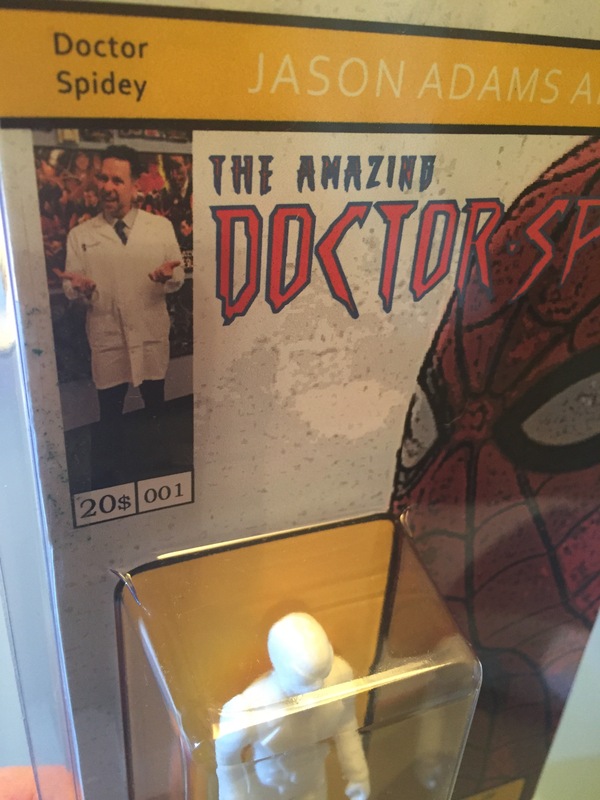 This figure is based off of the real life dentist the great Doctor Scott McLeroy. It’s cast in resin and it was hand crafted. 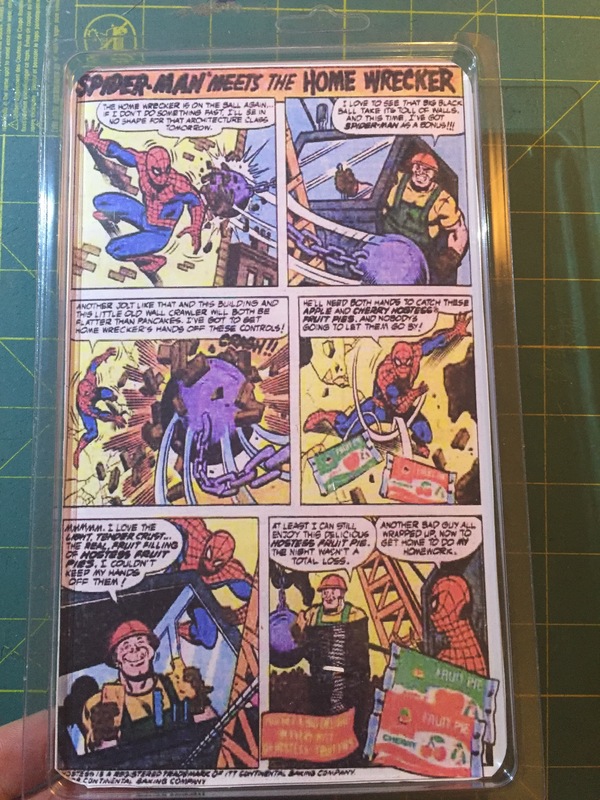 It comes in a clamshell package with a card that’s printed front and back. There will only be 20 of these made total for this run. How the preorder will work. It’s that easy. Remember, this is limited to 20 total figures. Card may slightly change, but this is how it’s going to look for you. And I’m sorry I called you hillbilly. I don’t even know what that means. 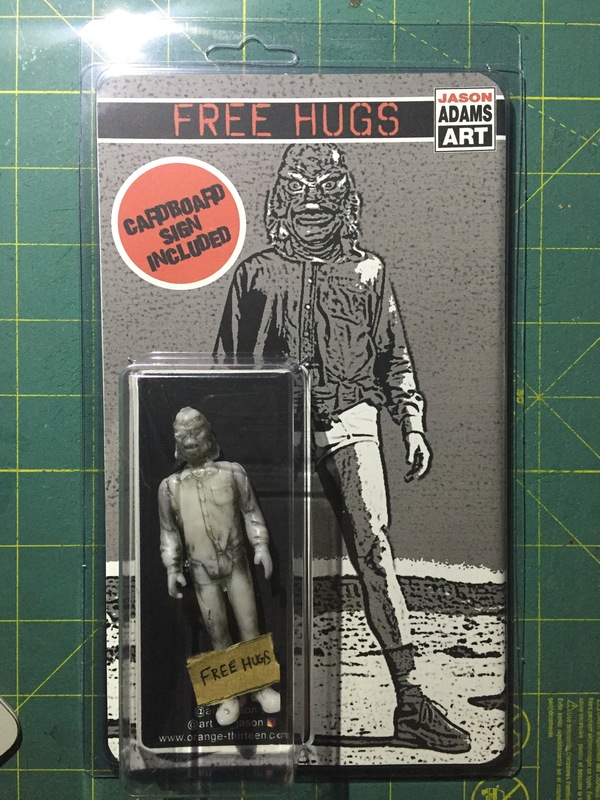 Limited run of “Free Hugs” hand poured resin figure. Want one or four? Drop me an email. 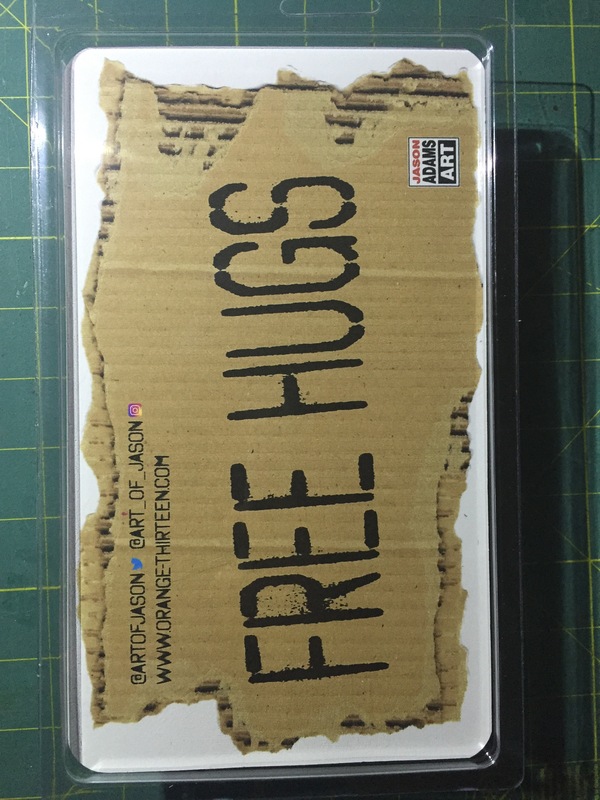 The back even doubles as a free hugs sign for all your hugging needs.